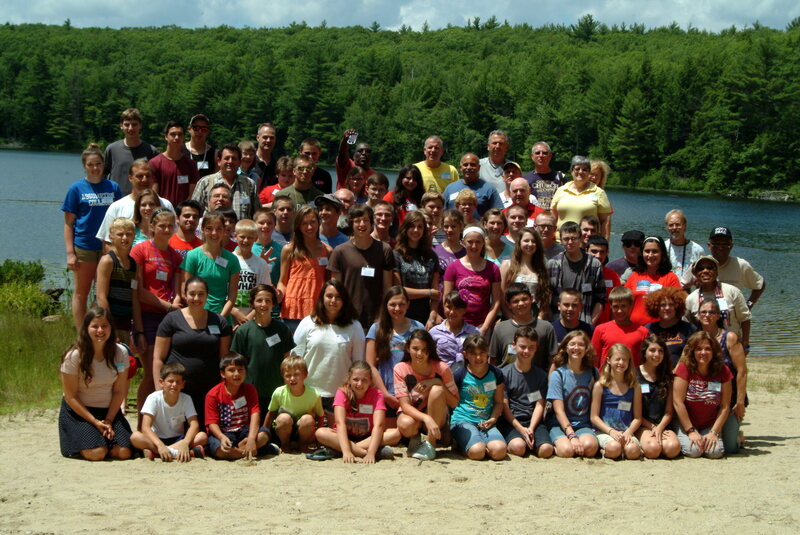 Camp Constitution’s 2014 annual family camp held at the Toah Nipi Christian Retreat Center in Rindge, NH ended last week. This year’s camp drew attendees as far as Florida and Michigan. Mrs. KrisAnne Hall, attending for the first time, was a bit hit with staffers and campers alike. Along with her inspirational, and motivational classes, she did several radio shows while at camp featuring interviews of campers. Instructor, Garret Lear, “The Patriot Pastor,” added a class on the use of a musket and several campers had the opportunity to fire the musket. Campers also heard from Mr. Larry Cleveland, a life-long Rindge resident who organized a successful attempt to stop Agenda 21 type programs from being implemented in the town. He demonstrated how informed citizens can indeed fight “city hall.” Leadership workshops conducted by Earl Wallace, author of “The Three Dimensional Leader” motivated the camp’s junior counselors to start an on-line monthly magazine, and produce a promotional DVD which should be available shortly. On the last full day of camp, senior campers did a distribution of U.S. Constitution to members of the business community in nearby Jaffrey, NH. The all-day field trip to Old Ironsides and Bunker Hill ws complimented by classes about the famous battleship by a former crew member, and camp instructor, Norman Tregenza. Campers also visited the boyhood home of Uncle Sam in nearby Mason, NH. Owner Jean-Pierre Mouraux travelled from Sonoma, CA to open the house for the campers. Super campers were awarded to veteran campers Jillian Kalis and Ben Leveillee. They were awarded a free tuition for next year’s camp. Runner-ups were first time campers Dominic and Madeleine Girard. Super counselor went to Mr. Chris Kalis who travels all theway from Michigan with his family to attend. Dates for next year’s camp will be announced soon. Videos of classes and activities can be found on Youtube and camp photos are available on the camp’s facebook pages.